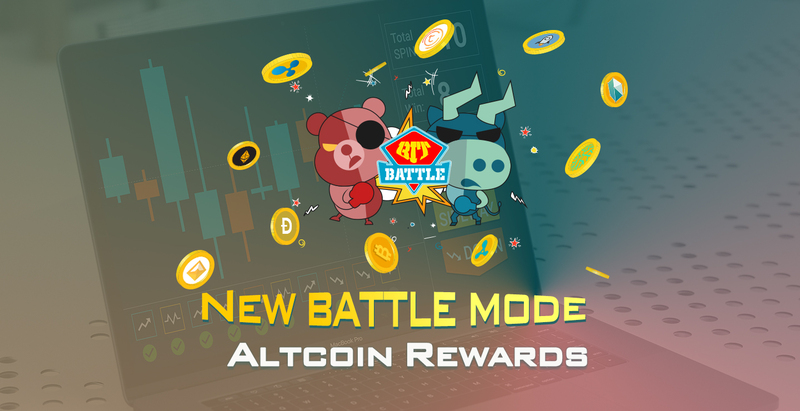 Adding to the battle mode collection, BitBattle announced to open a new mode call “Altcoin Rewards” in which awards users with valuable tokens from Rewards Pool, including XRP, XLM, KNC, TOMO and KAT. 3 SPIN are required for 1 turn in this “Altcoin Rewards” mode and this amount will be returned if your predict is correct, along with your awarded tokens. In “Altcoin Rewards” mode, rewards for the upcoming candlestick will be shown. Using the Multiply your rewards x5, x15 may help you increase the rewards to receive for a specific candlestick. You need to spend an n times of SPIN and catch the chance to receive n times of rewards. With a standard turn in Altcoin Rewards mode, you spend 3 SPIN and receive back 1.56 KNC on your right choice. Join our Altcoin Rewards mode here and seize valuable tokens to your BitBattle wallet.